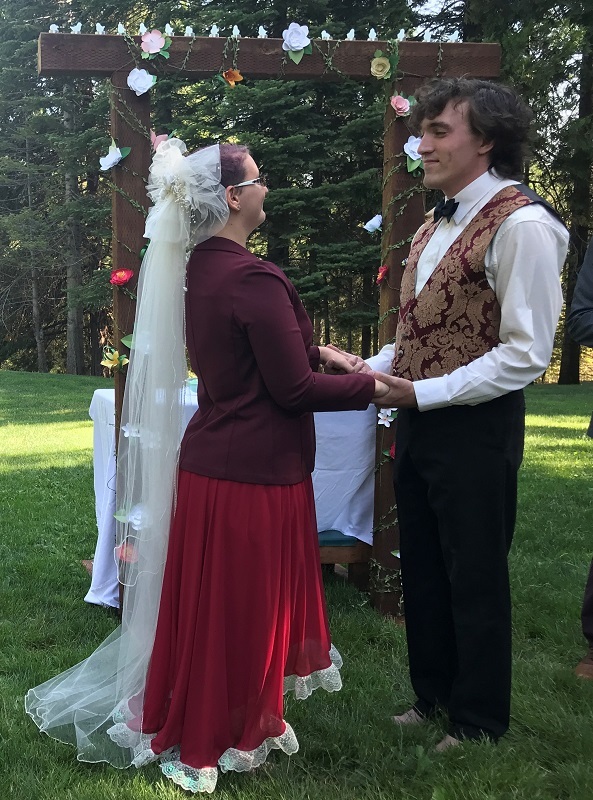 On Saturday our 22-year-old daughter got married. Our missionary kid from Honduras married a missionary kid from China. The two of them met several years ago at John Brown University. They were best friends before they were boyfriend and girlfriend. They were in the same group of great fiends, and all those friends from college served as their bridal party. 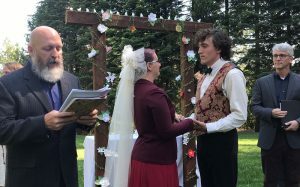 The wedding was held at an orchard in Apple Hill, in Placerville, in Northern California. The ceremony started at 10am in a beautiful outdoor setting in the woods, next to a pond, surrounded by geese. Maddy’s betrothed, Josh, had his whole extended family of uncles, cousins, and grandparents fly in from Oklahoma, and other parts East. Maddy had cousins, uncles, aunts, grandparents, and family friends come in from all over the west coast. Mike and Josh’s dad (Chris) performed the ceremony. It was a blend of many cultures. Mike preached in English, Maddy prayed in Spanish, Josh prayed in Mandarin, and they performed a traditional Chinese sand ceremony to represent the unification of the two families. The wedding was a beautiful mixing of Josh and Maddy’s hippie spirit and love for cultures. The wedding party was barefoot and free-spirited. The food was wonderfully prepared by Mike’s sister and brother-in-law, the photographs were taking by Mike’s best friend, and the music was performed by Erin’s best friends. 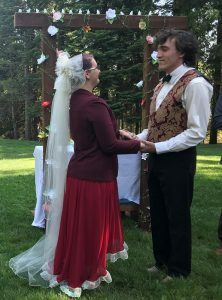 The cake was custom made, Erin handmade the paper flowers, and the decorations were a very outdoorsy collection of moss, rocks, branches and bark to add to the hippie spirit of the wedding party. The service was centered around Christ with preaching, praying, and worship music. God was glorified through this ceremony. It was a wonderful event. Lots of friends and family made it very special and Erin and Mike couldn’t be more proud of the newlyweds. 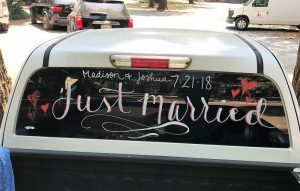 In mid-August, the two of them will return to Arkansas to allow Maddy to finish her final semester, and then the two of them will head off to a still-to-be-determined grad school. 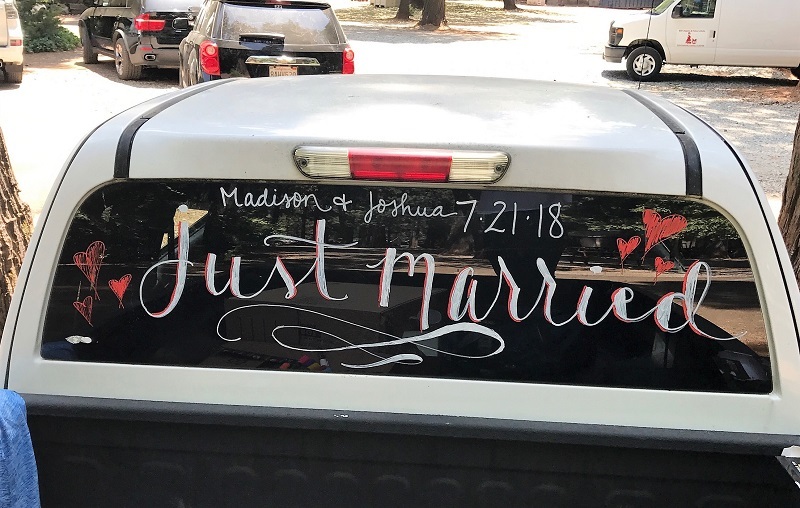 Please pray for Maddy and Josh Place as they start their new lives together.